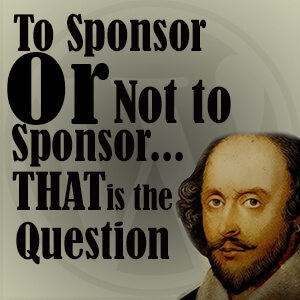 Podcast E132 – To Sponsor or Not to Sponsor, that is the question! This week I discuss the Pros and Cons on sponsoring a WordCamp or other conference. Segment 2: Reasons to sponsor a conference as well as not to sponsor!